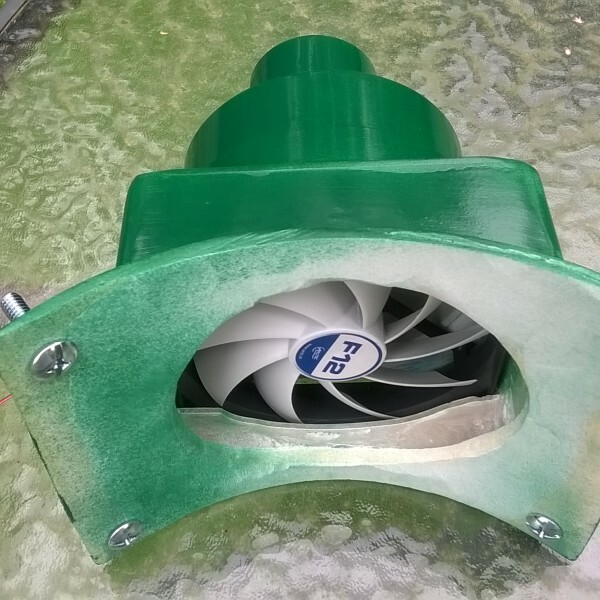 Composite construction fan housing made to suit 250mm standard drop chute. 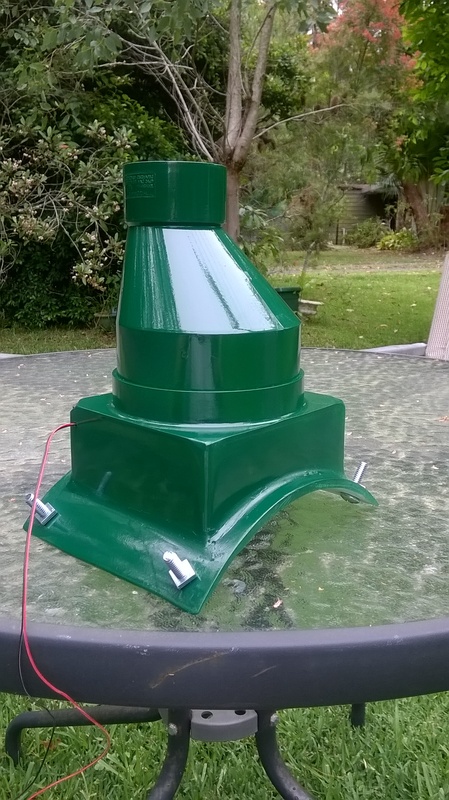 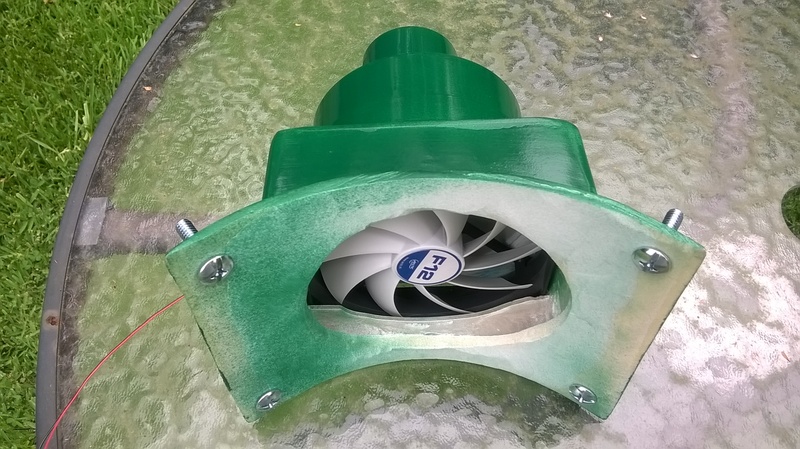 120mm high output 9 blade fan set into GRP housing with 50mm PVC take-off. 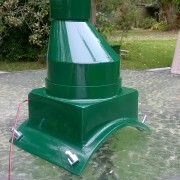 Easily removed for service or replacement.